The Dragon can mean a number of things in Japanese Culture. The most significant being fertility, humility, procreation, prosperity, and strength to ward off evil spirits. 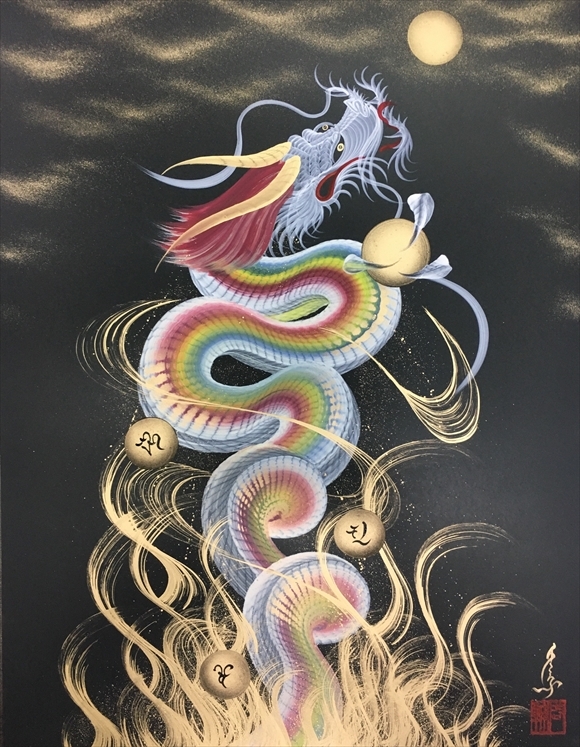 Religiously the Dragon represents good health, prosperity, purification, and protection. It has been said that the shape of the Japanese Archipelago resembles that of a “Dragon”. 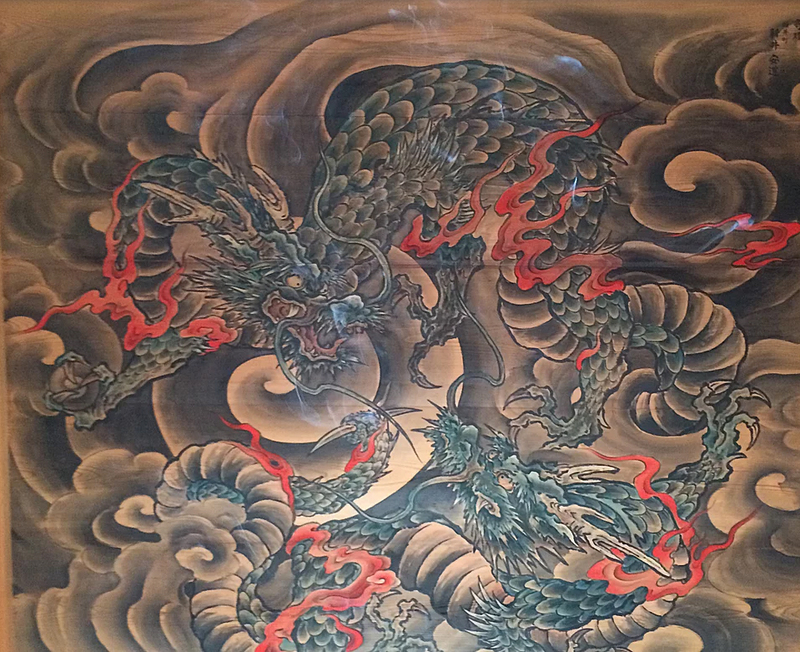 It is also a real mystery that the presence of the Dragon is found throughout Japan’s history and religion. Legend has it that Dragons have an inherent magical wish fulfilling power that is associated with good health and prosperity. The Dragon was worshiped from the Jomon Yayoi Era to be a giver of rain with the strength to purify the air and water, thus bringing huge harvests and abundant crops, and was called the “God of Five Grains” and has always been a decorative piece on all Shrines and Temples. In the summer months, with the power of lightning, the Dragon was thought to have the strength to have much needed water, fall out of heavens to create abundant rice crops. This is the reason Mr. Teshima’s One-Stroke Dragon is always accented with lightning and rain. Rice is Japan’s lifeline and is in the DNA of everyone. 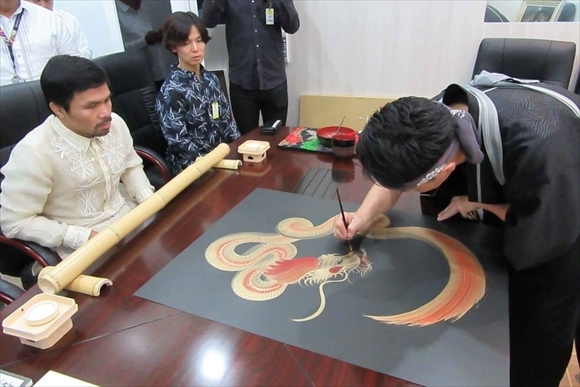 It is said that the “One-Stroke Dragon” brings long relationships, and this art form dating back to the Edo Period, has long been associated with bringing “Good Fortune” to the owner. 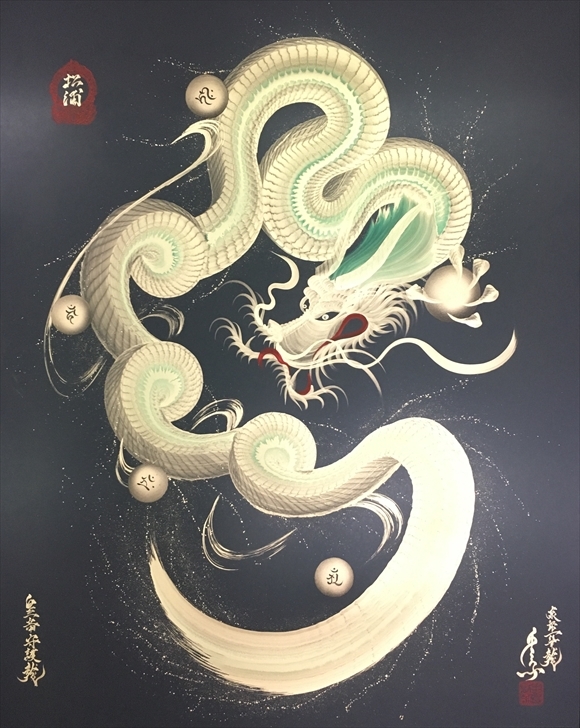 In the olden days there were many artists that mastered the art of “One-Stroke Dragon” and is thus present in temples and shrines throughout Japan. Presently only a handful are in existence. 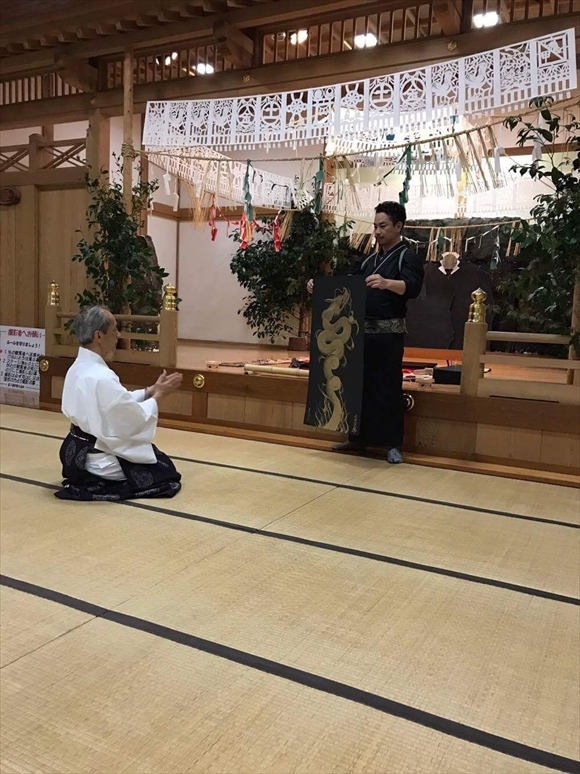 From all of the above legends, beliefs, and art, the “Dragon” has become a part of everyday life in Japan and the “Dragon” is respected and valued by everyone, as the GOD of “Good Fortune”.